Food and Beverage Contamination: Are You Eating and Drinking Harmful Particulates? Food Contamination: Are You Eating and Drinking Harmful Particulates? Most people understand that air pollution and poor air quality are issues that are important, but it often remains an abstract concept until it affects them directly. But food and beverage contamination grabs people’s attention, because eating and drinking is a vital and necessary part of everyone’s day. Understanding how airborne particulates can compromise the quality of food and drink is the first step in understanding how air filtration systems can provide a solution. Food and beverage contamination can occur in several different ways during processes such as packaging, sampling, production, storage and transport. However, per an article in Nutritional Outlook magazine, there are three main types of contamination that typically affect the food and beverage industry: Cross-contamination, particle contamination and microbial contamination. During the production process, cross-contamination occurs when more than one type of food is produced at a facility, and equipment used to process that food is not properly cleaned. As a result, contamination from one type of food is transferred to another type of food due to the improperly cleaned equipment. For the purposes of air filtration, however, particle contamination and microbial contamination are far more relevant to the issue at hand. 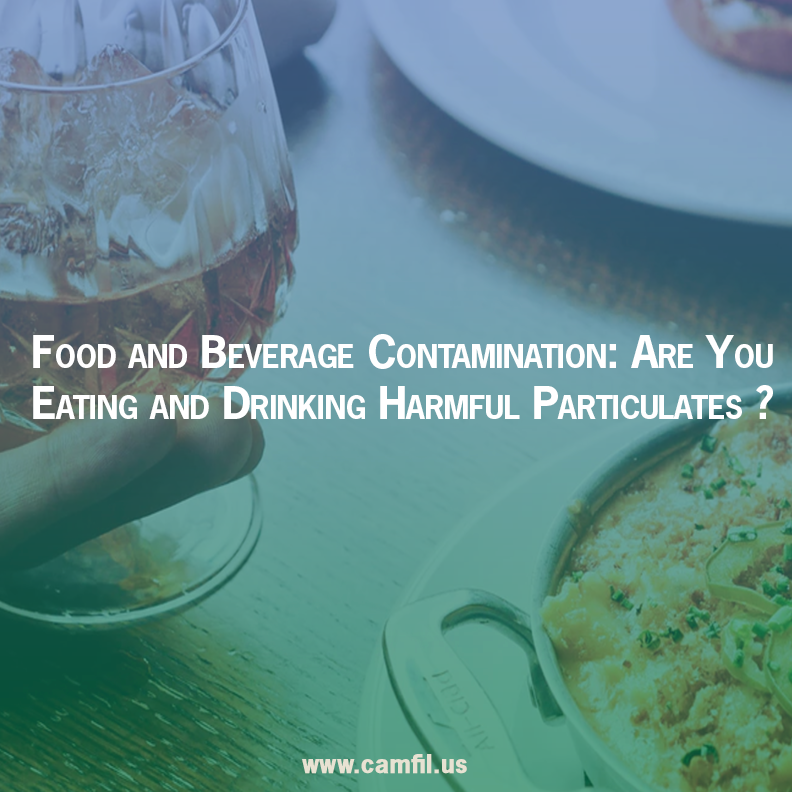 Particle contamination occurs when tiny airborne particles settle into food and open beverage containers during the production process, or during the packaging process. This type of contamination is nearly always due to a lack of effective air filtration system that can eliminate many of the particulates before they land and mix into the food. But in addition to air filters, food and beverage facilities must also understand how the construction and design of their facilities may hinder or help the incubation of harmful particulates. The third type of contamination – microbial contamination – refers to the growth of bacteria and mold. Microbial contamination can occur due to improper sanitation procedures by employees, or through moisture in the facility from leaks that can worsen over time and lead to mold. Many bacteria and mold can become airborne and if not removed by effective air filtration can become a liability. Combating food and beverage contamination at these facilities typically comes down to implementing an air filtration strategy as well as optimizing the design of a facility. High efficiency particulate arrestance (HEPA) air filters are rated to eliminate 99.97 percent of particles that are 0.3 microns in diameter, which is about 300 times smaller than strand of human hair, and far smaller than the human eye can perceive. HEPA filters are so effective that even the Centers for Disease Control (CDC) Guidelines for Environmental Infection Control in Healthcare Facilities recommend their use to trap microbial spores in patient rooms. This makes them ideal for eliminating microbial contamination in food and beverage facilities. However, even the best air filtration system cannot be fully effective without an adequate ventilation system, which considers humidity and temperature, and the amount of fresh air circulating through the facility. At Camfil, we understand the challenges facing the food and beverage industry, which is why we have designed our air filters to be ultra-efficient and affordable. Efficiency – Camfil filters do not include an electrostatic charge that can quickly lose its filtering capability. 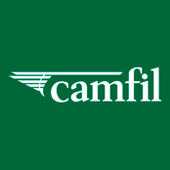 Camfil filters are built with fine fibers that maintain efficiency for the life of the filter and continuously reduce airborne pathogens and particulates. Low Resistance – Camfil filters provide greater and more continuous airflow three times longer than other air filters on the market. This means that your HVAC system won’t have to work as hard to move clean air through your facility, which saves energy. High Capacity – Camfil filters can hold twice as much dirt as the leading air filters in the industry, while maintaining rated efficiency and airflow. This helps extend the working life of the air filter and means fewer change outs, which also saves you money on replacement filters and the labor costs of frequent installations. For more than 50 years, Camfil has offered clean air solutions to combat food and beverage contamination. We are committed to offering the best products in the air filtration industry, as well as providing information about important issues affecting air quality. Visit our site for more information.